Click here to see a full four phase QFD (Quality Function Deployment) process. To thrive in business designing products and services that excite the customer and creating new markets is a critical strategy. And while growth can be achieved in many different ways--selling through different channels, selling more to existing customers, acquisitions, geographic expansion-- nothing energizes a company more than creating new products or upgrading existing products to create customer delight. Quality Function Deployment (QFD) is a methodology for building the "Voice of the Customer" into product and service design. It is a team tool which captures customer requirements and translates those needs into characteristics about a product or service. The origins of QFD come from Japan. In 1966, the Japanese began to formalize the teachings of Yoji Akao on QFD. QFD uses some principles from Concurrent Engineering in that cross functional teams are involved in all phases of product development. Each of the four phases in a QFD process uses a matrix to translate customer requirements from initial planning stages through production control. 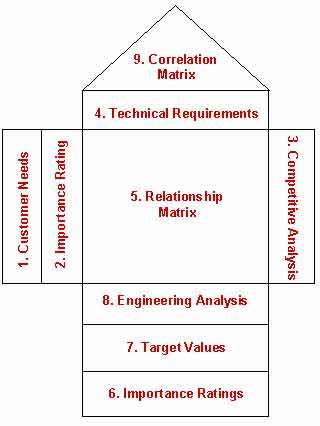 Each phase, or matrix, represents a more specific aspect of the product's requirements. Binary relationships between elements are evaluated for each phase. Only the most important aspects from each phase are deployed into the next matrix. Phase 1-Led by the marketing department, Phase 1, or product planning, is also called The House of Quality. Many organizations only get through this phase of a QFD process. Phase 1 documents customer requirements, warranty data, competitive opportunities, product measurements, competing product measures, and the technical ability of the organization to meet each customer requirement. Getting good data from the customer in Phase 1 is critical to the success of the entire QFD process. Phase 2- Phase 2 is led by the engineering department. Product design requires creativity and innovative team ideas. Product concepts are created during this phase and part specifications are documented. 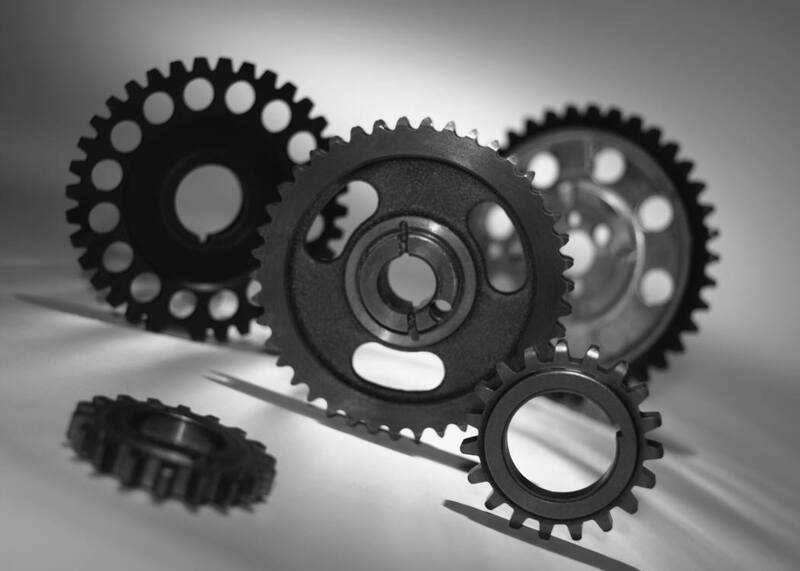 Parts that are determined to be most important to meeting customer needs are then deployed into process planning, or Phase 3. Phase 3-Process planning comes next and is led by manufacturing engineering. During process planning, manufacturing processes are flow charted and process parameters (or target values) are documented. Phase 4-And finally, in the production planning, performance indicators are created to monitor the production process, maintenance schedules, and skills training for operators. Also, in this phase decisions are made as to which process poses the most risk and controls are put in place to prevent failures. The quality assurance department in concert with manufacturing leads Phase 4. QFD is a systematic means of ensuring that the Voice of the Customer's requirements are accurately translated into relevant technical descriptors throughout each stage of product development. Meeting or exceeding customer demands means more than just maintaining or improving product performance. It means building products that delight customers and fulfill their unarticulated desires. Companies growing into the 21st century will be enterprises that foster the needed innovation to create new markets. We follow one of the most robust methodologies for product development: Quality Function Deployment. Karen Roberts has been facilitating and teaching Quality Function Deployment (QFD) methodologies for the past 25 years. We provide exceptional product development team facilitation using QFD as a guiding methodology. We also teach workshops on QFD that are comprehensive, effective and concise. Just-in-time training methods can be employed throughout a team's QFD project. She has a comprehensive background with advanced QFD techniques, including technology deployment, cost deployment, and reliability deployment. Based on the needs of the customer, customized QFD models can be created. The scope of what IMPACTure can provide to a QFD project team ranges from conducting formal training in QFD to determining appropriate market segments and competition, designing and moderating customer focus groups, analyzing market/industry data, facilitating product development projects using QFD methodology. The Voice of the Customer (VOC) is about understanding the customers' needs. Vital information from the customer can be used for many different improvement activities. The primary objective for collecting the VOC is to provide improved products and/or services. The basic premise for using the customer's voice, is to define expectations and needs. Needs that they may not even know they have and expectations that exceed their wildest dreams. Both time and money can be saved by carefully listening to what a customer says. Eighty percent of new products fail in the market place because no one paid attention to this most critical aspect - - the customer. For that reason, collecting the VOC is the first thing an organization should embark on when entering the market with a new product or service, or in the redesign of an existing product or service. Because collecting the VOC is the most critical aspect of product/service development, we are meticulous in how we gather this data. Organizational development (OD) is an application of behavioral science to organizational change. We work with organizations to ensure that QFD (Quality Function Deployment) is introduced into your organization in a way that matches your corporate culture. OD encompasses a wide array of theories, processes, and activities, all of which are oriented toward the goal of creating positive organizational change. Working with executive management teams, we facilitate the groups understanding of the competition, assess the current environment, help design and facilitate executive management teams, build product development teams that will be leading the QFD (Quality Function Deployment) efforts, design customized focus groups with team members and customers and help to identify road blocks that could undermine change efforts. All of our training can be customized to fit your organization's individual culture. We provide cradle to grave project management for your product development efforts. We offer workshops in all content areas related to organization development and strategic planning. Visit our sister site LearnFirm.com for our online QFD training. We strive to provide up to date assessment tools and research in the areas of strategic planning. Contact us for a free quote on how we can provide training and consulting in Quality Function Deployment (QFD) and the Voice of the Customer (VOC).